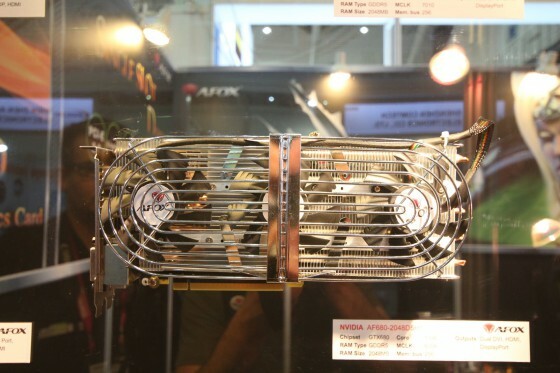 AFOX has unveiled its GTX 770 graphics card at Computex 2013. 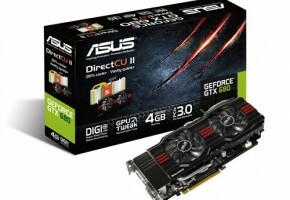 The latest addition to their lineup would feature a Point Of View design known from GTX 680 Beast model. 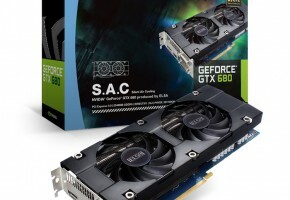 It’s a triple fan solution, which takes 3 slots. 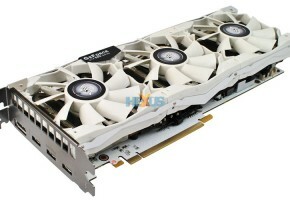 The card is indeed quite massive, but because of such design it provides great overclocking potential. There are two aluminum fin arrays connected with five copper heat pipes. 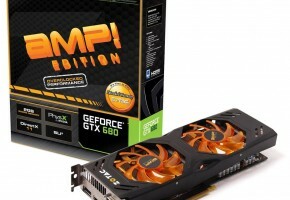 The PCB can hardly be seen, but it looks like AFOX didn’t use a custom one on this card. 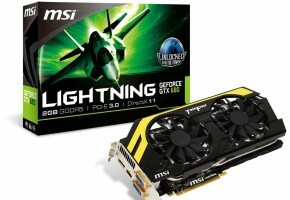 We are looking at 1046/1085 MHz GPU clocks, which means this card is not factory-overclocked. 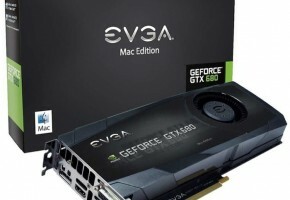 It’s equipped with 2GB GDDR5 memory across 256-bit interface. The memory itself is of course clocked at 7010 MHz. Here’s the POV model for the reference. 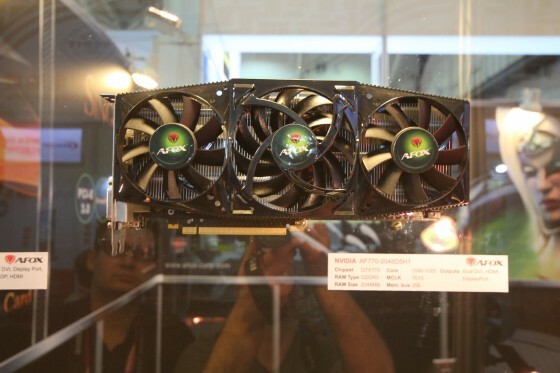 AFOX also shown off a weird looking GTX 680 with a large grill on the top. 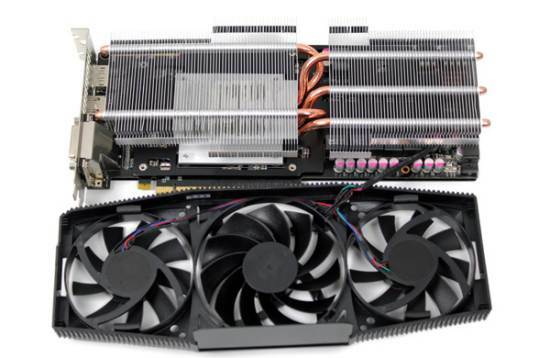 It also has 3 fans, but the there’s only one heat sink all over the board.